SIS LIVE and RRSAT: broadcasting live sports events. provider RRsat to provide international sports distribution solutions for the Asian market. This includes uplink and downlink services, satellite-to-satellite turnaround and fibre-to-satellite transmissions as well as other services. SIS LIVE, a world leader in the broadcast industry operates a wide range of services including the largest fleet of outside broadcast and uplink vehicles in Europe; specialist RF, wireless and special cameras services; a huge connectivity infrastructure; dedicated systems integration project teams and manufactures an award winning range of satellite and broadcast products. RRsat was chosen by SIS LIVE as its partner for providing services for the European Tour Productions golf coverage. RRsat will provide SIS LIVE with solutions for distributing live golf events to and from Asia. 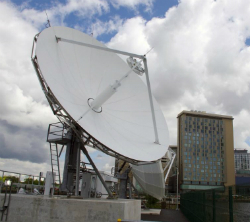 This transaction with RRsat establishes a longstanding mutual cooperation which includes a custom fibre link created by RRsat and SIS LIVE to allow the transfer of content directly from SIS LIVE’s UK teleport to the RRsat Emek HaEla teleport for uplink and distribution to premium cable headends in the Asian market. SIS LIVE is RRsat’s preferred supplier for European teleport and turnaround services to RRsat’s extensive customer base.